Howard London was recently recognized as the 2018 Chicago Family Law “Lawyer of the Year” by Best Lawyers in America, an honor given to the lawyer with the highest peer review score in a given practice area and metropolitan area. Mr. London was also listed in Leading Lawyers Magazine as one of the Top 10 Civil Appellate Law attorneys in Illinois in 2014 and one of the Top 10 Family Law attorneys in Illinois in 2016. 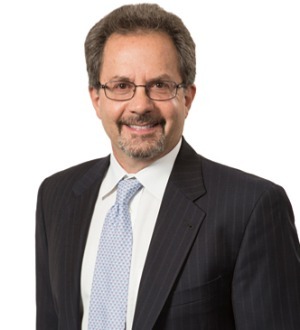 A managing partner at Beermann with almost 40 years of matrimonial law experience, Mr. London has handled some of the most high profile and complex matrimonial cases, and his combination of trial and appellate court experience in family law cases—including well over 100 appeals—is unparalleled in the firm. For this reason, one of Mr. London’s important roles at Beermann is to consult and assist on many of the firm’s most challenging cases, in addition to representing his personal clients. Mr. London is trained and experienced in various alternate dispute resolution (ADR) methods—such as mediation and collaborative law—, and he advocates these approaches whenever appropriate to achieve fair settlements in an amicable and cost-effective way.